London crept back into my life somehow, I had waited three long months to renew my visa to return to China. Using that 'City of London' location to the best of my advantage had to be done, getting back to Uxbridge within a good time had to be considered. Oh, St. Paul's, the Bank of England Museum and Leadenhall Market were in my sights after my visa appointment! Staying in the South Bucks commuter town of Gerrards Cross with my aunt and cousins enabled me to catch the tube from Uxbridge into Moorgate for my China visa appointment. The formalities didn't take too long with my Chinese visa so I was free to explore the 'City of London' for the rest of the day, mainly built up of banks and office blocks known as the 'Gherkin' and the 'Walkie Talkie' buildings I decided to head for St. Paul's Cathedral without thinking twice. I had last seen St. Paul's from the Millennium Bridge during a day wandering along the River Thames during 2014 or 2015 but then decided to walk back over to the southern side of the river for some reason I can't remember. 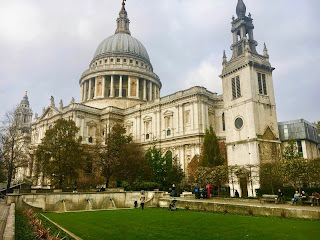 Paying my only admission fee for the day I stepped inside the grand entrance of St. Paul's to see what all the fuss was about, seeing it from the gardens just wasn't enough for me! No photos were permitted, would that be followed through? Maybe? 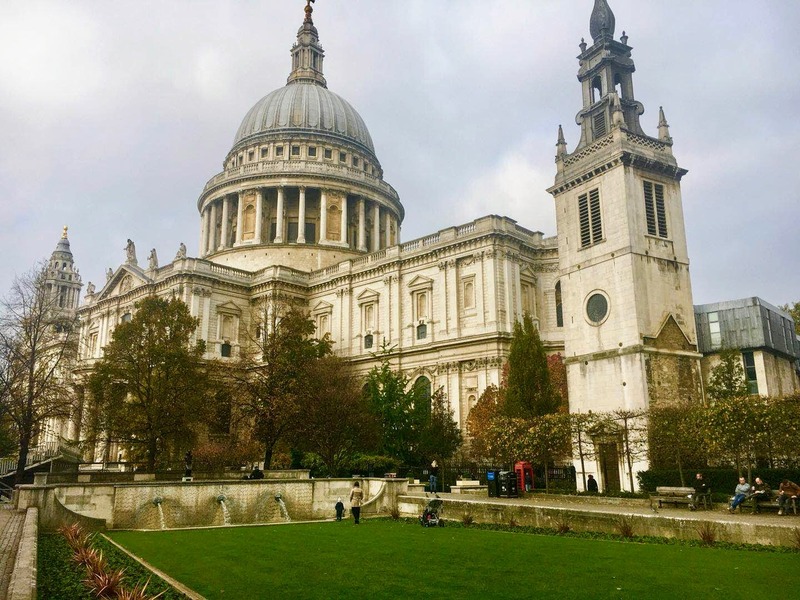 As I took my first steps into the wonder of St. Paul's Cathedral I was blown away by the beautiful stonework, apparently that Anglican Church doesn't receive any funding for restoration works so I saw my admission fee as money well spent. Respecting the photography warnings I was pleasantly surprised to see other visitors were actually taking heed of that request. Taking the many stairs to the middle of the dome I looked down onto the cathedral floor from the 'Whispering Gallery' the height didn't bother me but the golden views of the dome roof and of down below were amazing, every penny was well spent! Lighting a candle had to be done but like any Church of England venue, I struggled to see the Madonna! Going down into the Crypt showed me the way to my next location but not before finding out Florence Nightingale had a monument within the grounds of St. Paul's. Viewing from the inside and out I was content with St. Paul's Cathedral that November morning. Onto the money! They say money makes the world go round but I at least wanted to see how the Bank of England originated. Making the most of one of London's free museums opened my eyes to another part of the 'City of London'. Founded in 1694, the Bank of England was originally conducted from rented premises in Cheapside in the heart of the bustling city centre. I was staggered to find out that it was a full forty years later until the actual bank was put into business on Threadneedle Street. Throughout the museums instalments I discovered the original handling of money through the newly founded Bank of England, in modern terms it functioned like a building society. Forgery of the early notes was something the museum schooled me in, even though the less educated dwellers of London couldn't read they could craft their own counterfeit notes. I wouldn't be able to that but I'm no criminal, really I am not! No! 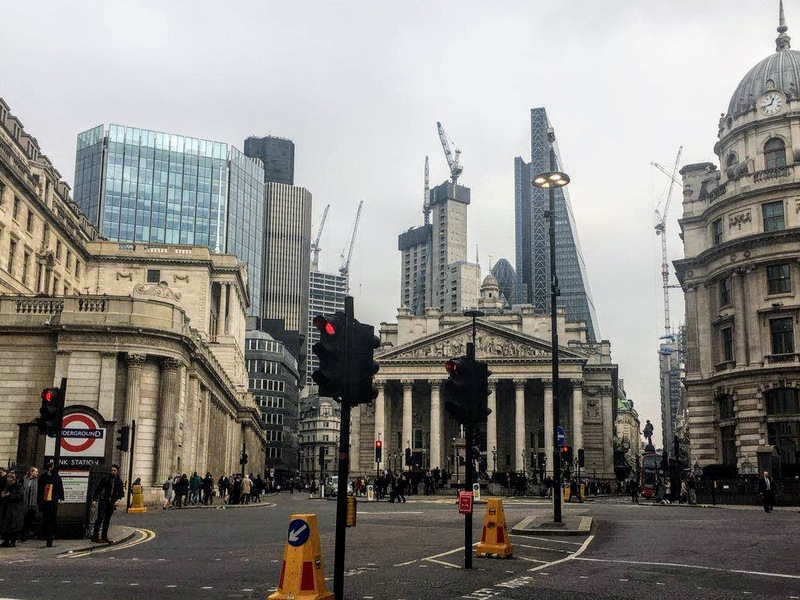 Funnily enough during June 2015 I had crossed the busy junction outside the Bank of England and the Royal Exchange after collecting my first Chinese visa, upon that occasion I didn't invest any attention so I was very willing to be considerate second time around. Going further into the many exhibits at the Bank of England museum opened my eyes, obviously my favourite reigning queen will always be Victoria, so the coins from her days ruling Britain and its Empire impressed me much! Jane Austen had her own little feature, the new material for the new bank notes educated me that they will be more durable and be harder to forge. There's a possible new face for the fifty pound note but I haven't seen one of those for an age, they must be all disappearing overseas? London kept on showing me more, I hadn't expected much from my day within the 'City of London' but St. Paul's and the Bank of England captured my attention. Money may be changing but that bank is still coining it! The day was pressing on but the banking types of London's beating financial centre made good viewing for sure, those suits looked just right from where I was looking! 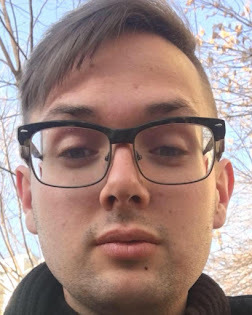 As I'll be heading to Beijing this time around I began to imagine if I'll be seeing any delectable suited individual go about town? Oh, I think there will be a few! 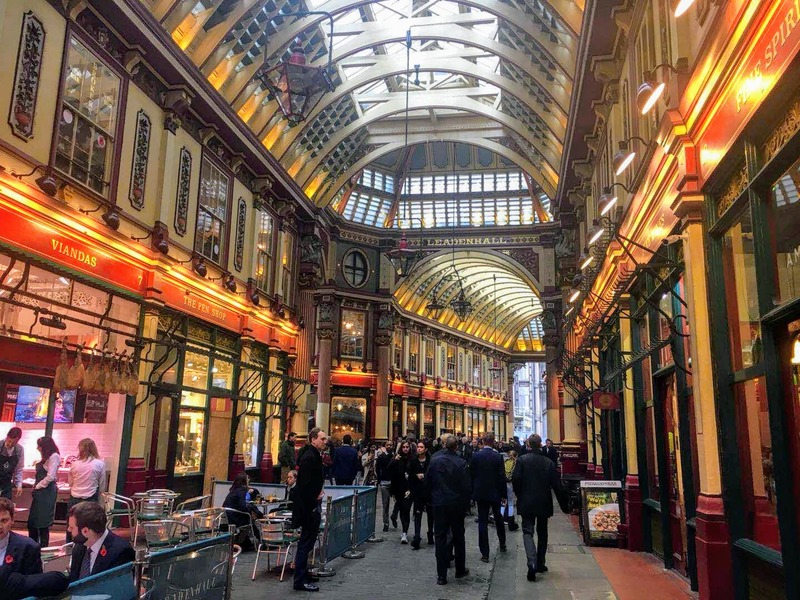 Feeling peckish I headed for my final stop of the day, Leadenhall Market stood out to me during my pre-trip research and being a former filming location used in the Harry Potter series I saw it as a winning choice to visit. Getting on for about 1pm I was so surprised to see as many suits as I did, their drinks were most certainly of the alcoholic kind and that begged the question of what decisions they would be making in the office after those boozy beverages! I'm not one to judge but it's definitely not something that I indulge in during my dinnertime break between teaching classes. Really? I admired the cast-iron details of the roof, the 18th century market retained a sense of its past but effortlessly catered for the modern requirements of today's market goers. 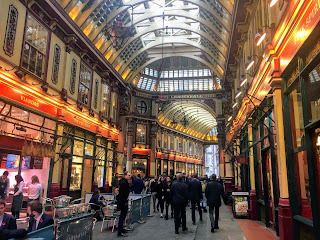 Upmarket dining options were plentiful but I was there to marvel at the architecture that had attracted me to Leadenhall Market nonetheless. Going for a burrito had to be done, keeping it simple I managed to grab a bite to eat for less than a tenner! Giving that busy burrito line some time to quieten down I took a seat just outside of Leadenhall Markets exit on Lime Street, sitting amongst a pile of towering steel and glass I turned my head to my left side to find the 'Walk Talkie' building staring back at me and the famous 'Gherkin' to the other side. For a half planned day after my Chinese visa appointment I managed to see as much as possible within the limits of the 'City of London'. Returning to Aldgate for my Uxbridge bound tube I felt very accomplished! London slayed yet again but it is so damn pricey! Suits, Suits & More Suits!